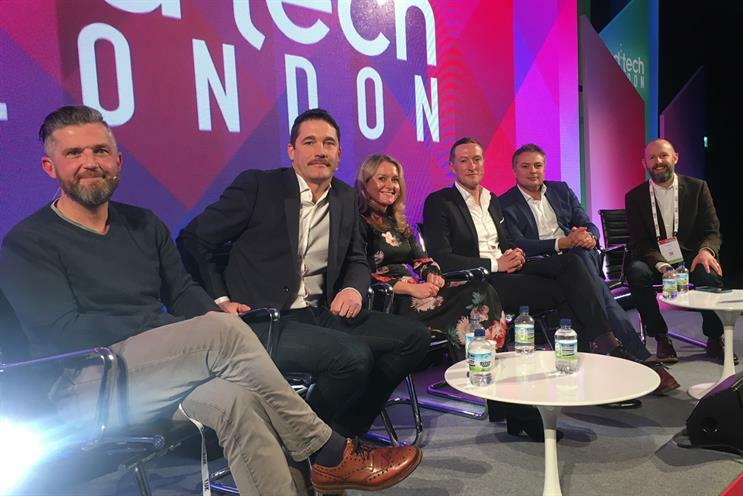 IAB's chief executive Jon Mew discussed the future of media and technology with a panel of five media agency chief executives at ad:tech London yesterday (30 November). There is an oversupply of technology in the industry, according to Matt Adams, chief executive of UK and international at Havas Media. "With a new piece of tech every nine seconds, our job is to make sure we’re enhancing it for clients in the right way." The key is to look at the application and benefit of the tech for brands, not just the technical side of it, agreed Richard Morris, chief executive UK, Initiative. "We do tend to get absorbed in the technical brilliance of it." With the recent YouTube scares around child exploitation, it’s understandable that brand safety is top of mind for the industry right now. But it would be foolish to forget that ad fraud is, and continues to be, a huge problem for the industry that delivers a material disadvantage for clients, Alistair MacCallum, chief executive of m/SIX, pointed out. "In terms of revenue, ad fraud is bigger than the UK drug trade. If I was an organised criminal and I wanted something that’s high return low risk, I’d go into ad fraud," he said. The industry has got to pull its socks up and finally agree on a common, high standard for viewability, Adams said. "If you told a client: ‘Really good news, half your ad has been seen for 2 to 3 seconds!’ they’d be outraged. That’s the IAB industry standard and it’s ridiculous," Adams said. Mew demurred that the standards were set by the Media Ratings Council, rather than the IAB. "It’s also designed to be the minimum benchmark of an opportunity to see, rather than a measure of effectiveness which it certainly is not," he said. Both clients and agencies are setting their own internal standards, Rachel Forde, chief executive of Spark Foundry, said. "Most media groups have a standard and every single tech provider has to clear this stringent process before they get on our roster." The industry has been so obsessed with the best way to measure media, it hasn’t done enough to figure out how to evaluate what’s worth investing in, Jem Lloyd-Williams, chief executive of Vizeum, said. "Clients want to know where their money’s going and that their ads are in the appropriate context, whether that’s sandwich bag media or The X Factor," he said. "They’re interested in knowing whether they should spend more there and less over here, and if it’s driving outcome most effectively and efficiently." While employment issues post-Brexit are a huge concern, the truth is that there isn’t enough certainty, Morris said. "Until you can genuinely see the detailed shape of what the many different components of Brexit may look like, it’s hard to be optimistic or pessimistic," Lloyd-Williams agreed. While not all the chief executives agreed, Forde believes that next year will see consumers doing "less staring at screens and more voice activation". "The accuracy has improved massively. I’m a Northerner and it understands me," she said. "It will take off because you can talk and listen faster than you can type and read." Brands will turn to agencies to tackle much bigger questions, Adams said. "It will be a massive year of upstreaming and we need to drive the profile of people who come into our organisations."